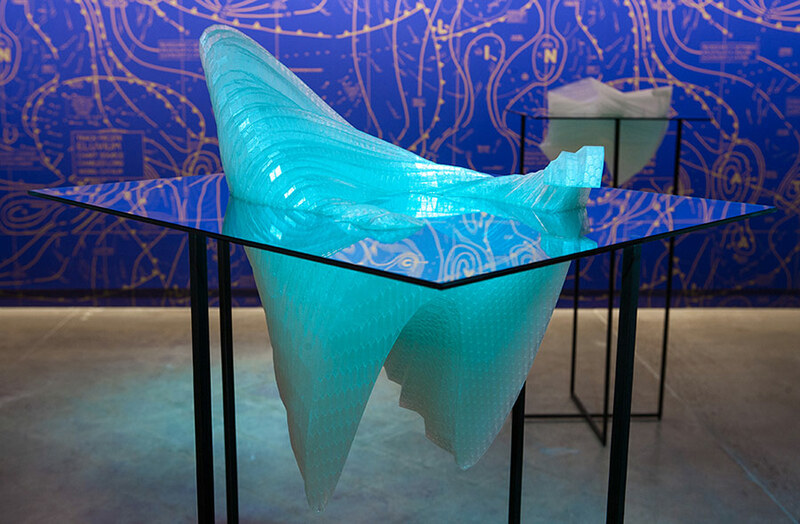 Charles Long’s latest exhibition CATALIN—aptly named after a toxic plastic material fabricated in the 1930s—uses a multi-media approach to simulate a feeling of impending doom. In this Gesamtkunstwerk, Long combines sculpture, film, music, fragrance, theater, performance, and grand spectacle to create a mystical and magical Wagnerian world. The artist was inspired to create CATALIN by the writings of Timothy Morton, a leading thinker in ecology and philosophy whose canon is focused on the ultimate demise of the environment and art’s reaction to this loss. During the exhibition’s run, Long will interact with local organizations and artists while engaging the Jones Center’s second floor space for films, lectures, theater, and community events. To complement the exhibition in downtown Austin, there will be an outdoor installation of his 2012 work Pet Sounds at Laguna Gloria (3809 West 35th Street). This installation, which takes its name from a 1966 Beach Boys album, contains a multitude of morphed blobs that let out faint murmurs when touched. CATALIN and Pet Sounds walk the thin line between dignity and humor while asking many questions—most of which are left unanswered—concerning the fragility of the human condition.